How do you plan to manage your data that comes in from multiple sources such as IoT devices? Data analytics projects often fail because businesses are unable to effectively manage data from so many different sources. 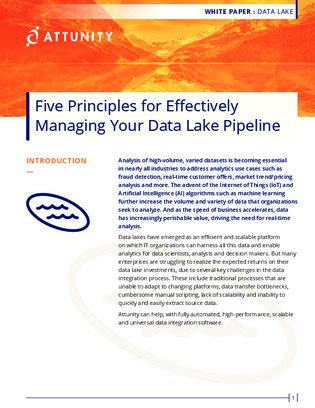 Download this white paper for 5 principles that can help organizations effectively manage their data lake pipeline.